By Alejandro Rodriguez. Last revised Apr 2, 2018. Q: Gens/GS crashes when entering full screen! Q: Can I transfer my saves to another emulator? Q: Gens/GS isn't saving anything! Q: I get a 'Backup RAM not initialized' error! Q: My Sega CD game freezes in the beginning! Q: My Sega CD game isn't playing music! 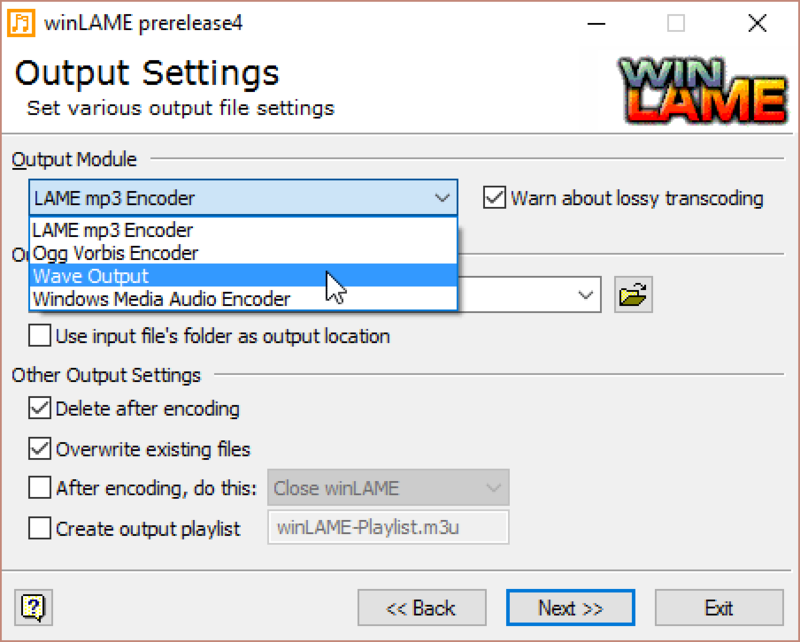 Q: Game loads blank with audio index error! This tutorial is to help you with Gens/GS. It's an excellent emulator for Genesis, 32X, and Sega CD. It comes with a bunch of neat features as well. Gens/GS is a continuation of “Gens”. In the 2000's, Gens was the #1 emulator for Genesis emulation. In time its creator abandoned Gens. As his final gesture he made its source code freely available. People took advantage of the free code and made their own versions of Gens. There are around 10 different versions of Gens that have branched off the original (this page has a list). 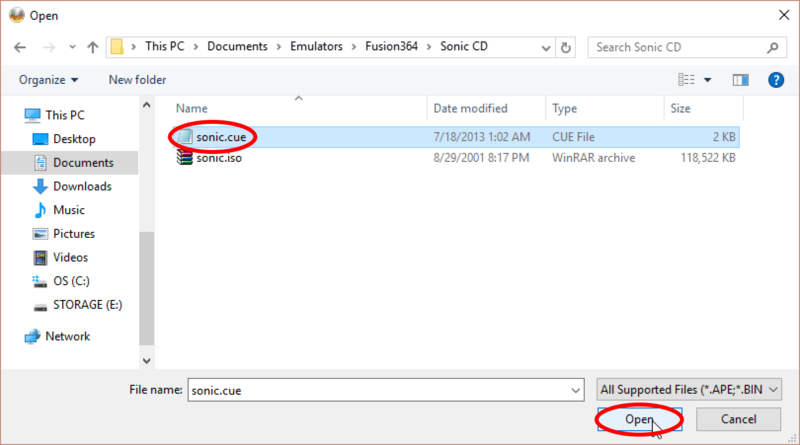 For the most part these branched emulators are basically the same, so you can still use this tutorial to help you. *If you would like to download Gens/GS, I have it in my emulators page. Gens/GS is a standalone program so it does not have an install wizard. Installation is simple: just extract Gens/GS from its zip file. Not sure how to extract zip files? 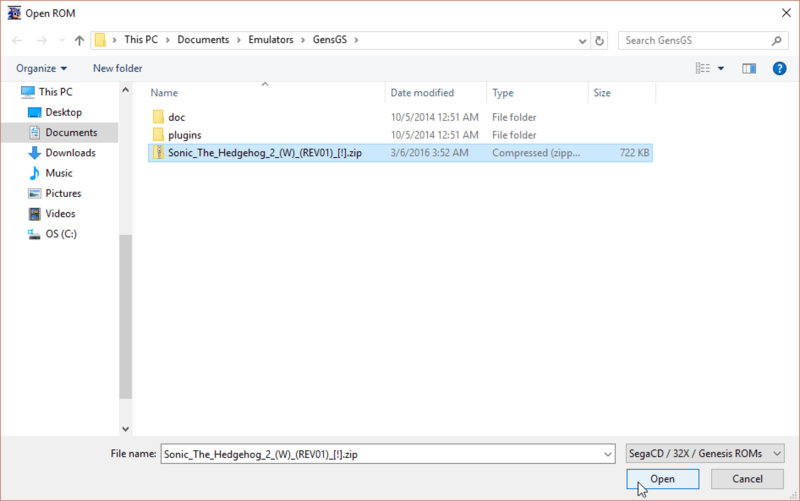 Here's a video tutorial showing you how: how to unzip files on Windows. IMPORTANT! Gens/GS must be placed in a common folder on your computer. I recommend Documents, Downloads, or create a folder on your desktop. If you place Gens/GS somewhere else on your main C drive, then you may be restricting it to read-only access. Doing so prevents Gens/GS from saving anything. In the “Configure Player 1” panel you see which keyboard keys are associated with which button on the virtual Genesis controller for Player 1 (as Port 1). If you're okay with Gens/GS's default keyboard setup, then you don't need to continue with these directions - unless you want to configure a gamepad. 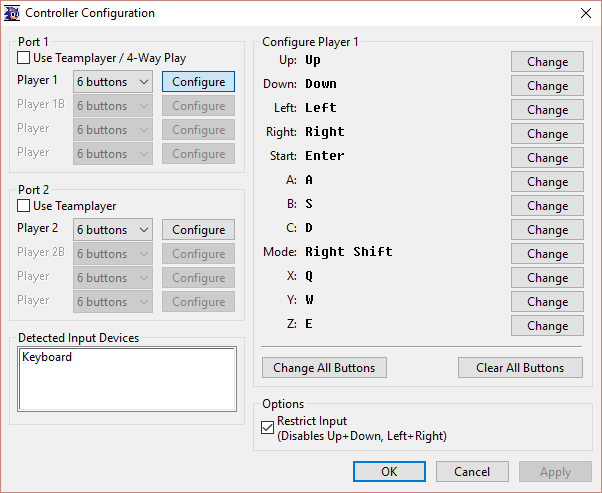 By default, Gens/GS is set to emulate the 6-button controller. You can change it to a 3-button controller by clicking on the drop-down selection next to Port 1, as shown here . 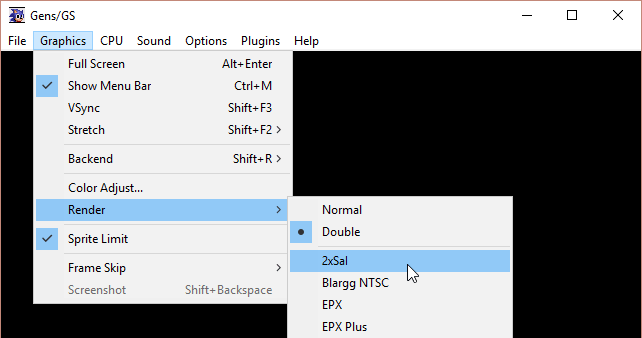 If you want to configure a gamepad, first plug your gamepad into your computer. If Gens/GS is open then close it and re-open it. Gens/GS will ask you to press a button. Go ahead and press a keyboard button (if you want to reconfigure the keyboard) or press a gamepad button (if you want to configure your gamepad). Same as above, press the keyboard key or gamepad button that you want configured for the virtual Genesis controller. Gens/GS will automatically cycle you through all the buttons. That's it! Click OK when you're done. To configure buttons for Player 2, under Port 2 click on Configure and repeat the same process. 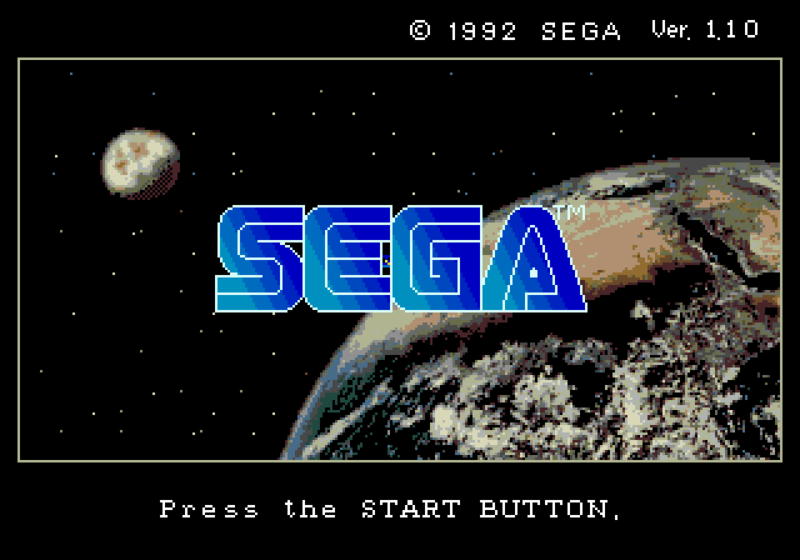 *For loading a Sega CD game, visit the section in this tutorial dedicated to Sega CD. Video game emulators typically have a dedicated “roms” folder. Gens/GS does not. You can place the Sega ROMs you downloaded anywhere you want. 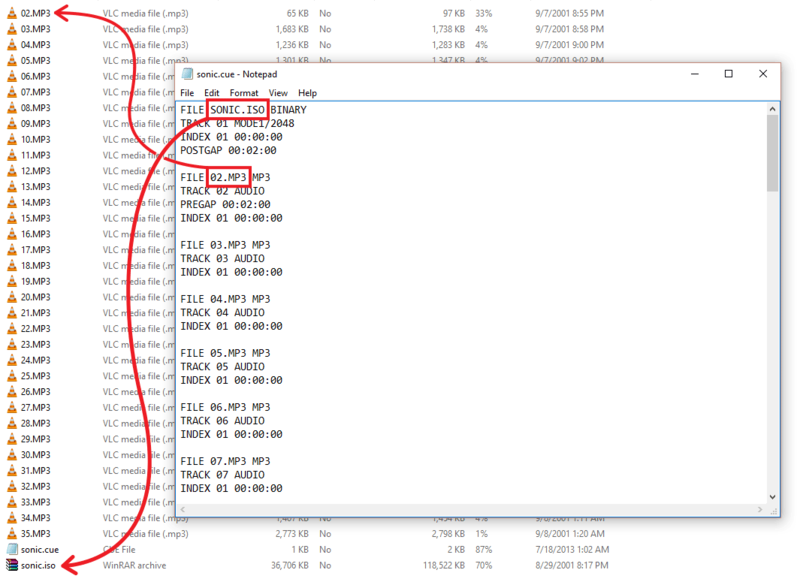 You can place them inside Gens/GS's folder or somewhere else. It doesn't require them in a specific location. The “Open” window will pop up. 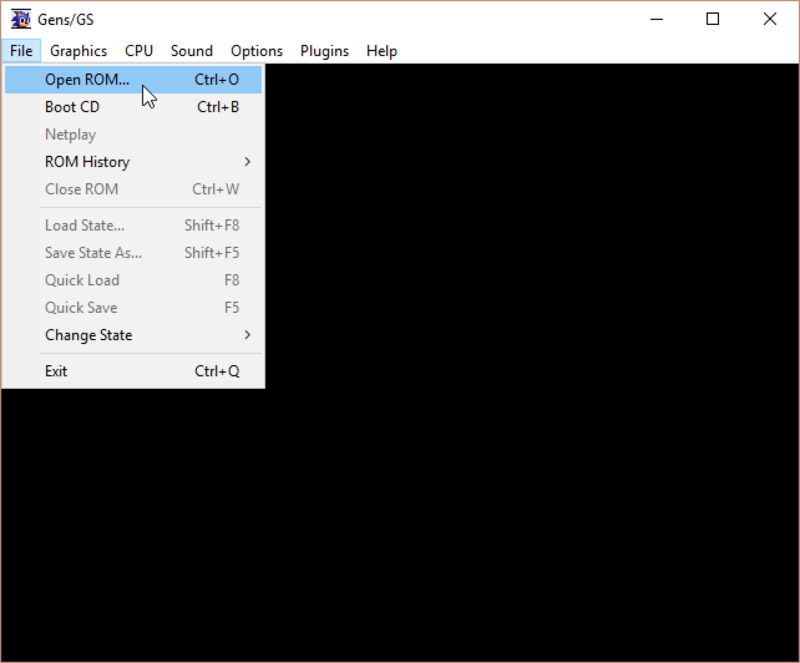 From this window navigate to the folder where your Genesis and/or 32X ROMs reside. Click on the game you want to play, then click Open - as shown here . The game will begin playing immediately. To bring Gens/GS into full screen, go to Graphics > Full Screen. Or press Alt+Enter. While in full screen mode you can access Gens/GS's menu by right-clicking on the screen. And then to exit full screen, press Esc or Alt+Enter. Right-click gens.exe and left-click Properties. 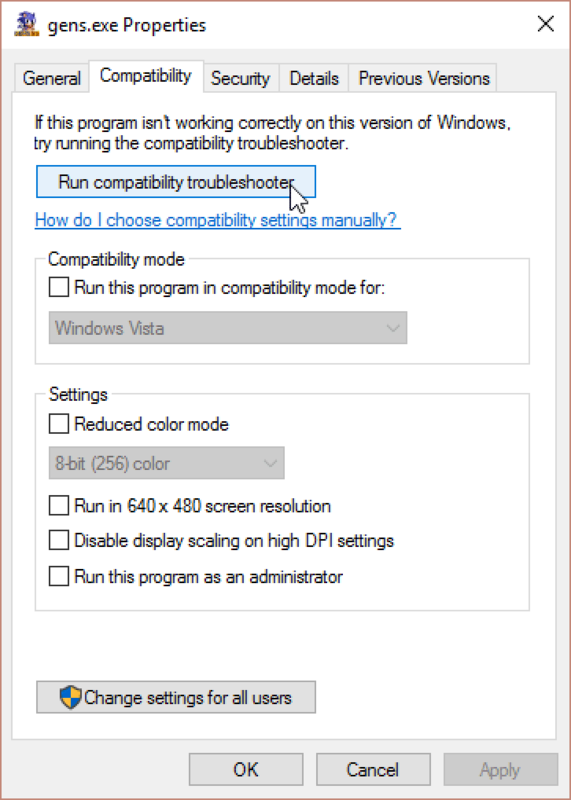 You could also try running Gens/GS in compatibility mode under Windows 8 & older under “Run this program in compatibility mode for”. Probably Windows 7 or (even older) Windows XP is your best bet. Lastly, there's a small annoyance that might happen upon setting Gens/GS to emulate under an older version of Windows. 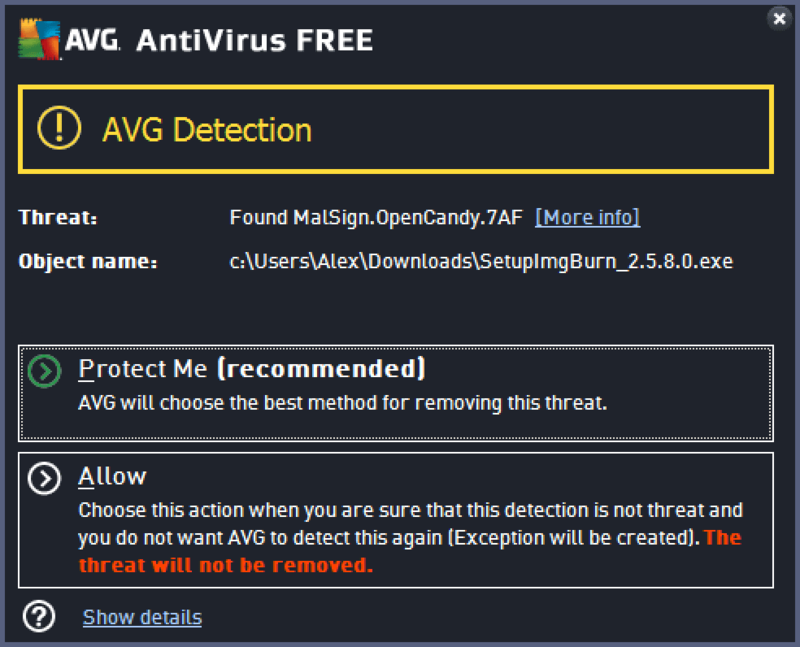 From now on, every time you open it you might be prompted by this message: “Do you want to allow the following program from an unknown publisher to make changes to this computer?”. Every time you will have to choose to accept that message. *If Gens/GS continues to crash after the first full screen crash, that means Gens/GS saved the faulty video setting. To resolve this you need to go into Gens/GS's folder and delete the gens.cfg file. Simply click on a filter. Gens will immediately render the screen with the filter you chose. Save states is a feature that saves the exact spot you are in any game. You can use this feature manually by going into the File menu or by quick keyboard shortcuts. Note that this feature is intended for Genesis and 32X games. Save states don't work well with Sega CD games. There's one detail about save states with Gens/GS that can be confusing. There are two types of them. You have quick saves and regular save states. Capturing a quick save: To capture a quick save go to File > Quick Save. The keyboard shortcut for saving a quick save is F5. Loading a quick save: To load a quick save that you previously saved, go to File > Quick Load. The keyboard shortcut for loading a quick save is F8. Ten save slots! Gens/GS allows you to save up to 10 different quick saves. By default, it is set to slot “0”, the first slot. You can change the slot by going to File > Change State. Or press F6 (backward) & F7 (forward) to change slots. The less convenient regular save state feature has a few purposes. By going to File > Save State As you can enter a custom filename for your save. 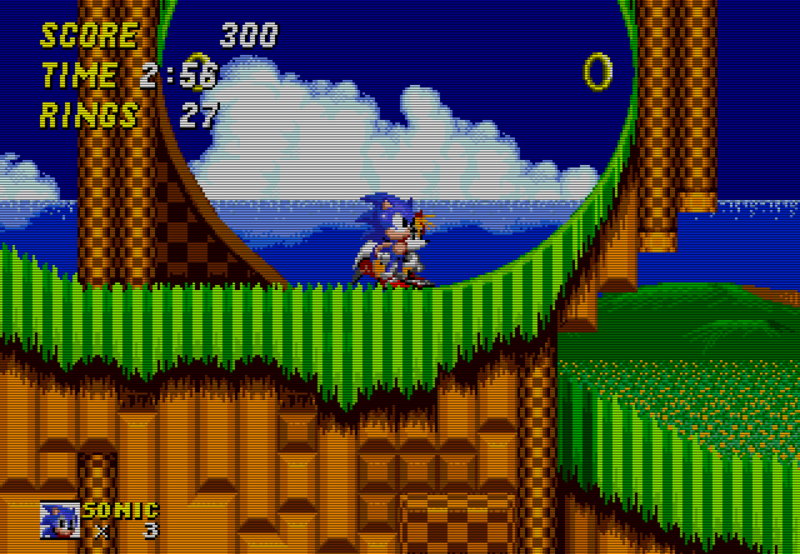 For example, if you're playing Sonic the Hedgehog you can capture a save state at the beginning of every stage and call each save “Stage 1”, “Stage 2”, etc. One annoying detail is that Gens/GS doesn't automatically put a file extension. You can enter “.gs0” as the file extension. Otherwise, your saves won't appear when you try to load them, unless you enable the option to show all files. By going to File > Load State, it doesn't just load your save states. You can load save states from Kega Fusion. Through here you can also load save states from another version of Gens/GS on another computer. *All the RPG shrines in my FantasyAnime.com offer complete collections of periodical game saves. With them, you can continue at any significant point in the game. I offer a Game Saves Tutorial where you can learn more about how to use somebody else's saves. You can also learn about how to transfer saves between other emulators. To save a screen shot just go to Graphics > Screenshot. You could also press Shift+Backspace. It'll be saved as a PNG image and tossed into Gens/GS's folder. First, load the game. Click on Plugins > Game Genie. In the “Code” field type the code. You could also Ctrl+V to paste it from a website. There cannot be any spaces in the code! In the “Description” field type a short description for the code. Click on the Add Code button to add the code. Repeat the process to enter more codes. Know that Gens/GS does support cheats with multiple lines. You need to enter such codes one line at a time, and in order. Click OK when you're done. Reset or reload the game. If the cheat doesn't work then you either typed it wrong or it's a bad code. Finding cheats: GameGenie.com is a good site. The next best source is Google. The best search keywords to use is to type the name of the game then “game genie”. For example: “sonic the hedgehog game genie”. Fast forward is the feature that speeds up the game. Typically, emulators have a single fast forward button with a set speed. Gens/GS does things a little differently by letting you customize the speed increase. You enable fast forward by pressing F4 to increase the frame skip. You can keep pressing it to increase the speed, up to a digit of “9.” F3 decreases the frame skip. F2 sets it back to normal speed. In my links page, I have some good links to sites where you can download ROMs. If you want to try to find more sites than what's in my collection of links, just Google around. For example, if you want to download Sonic the Hedgehog just Google “download sonic the hedgehog genesis”. The only thing you can do is transfer Gens/GS save states to Kega Fusion. Other than that, I have not been successful transferring save states or SAV files (internal saved RAM) from Gens/GS to other Genesis emulators. With SNES emulators, SRM files (internal saved RAM) can be transferred to any other SNES emulator. Genesis emulators, however, have not stuck to a similar standard. At least, Gens/GS isn't stingy with its saves as long as you keep using Gens/GS. You can easily share your saves with other people who are using Gens/GS. Or you can copy your saves for use on a Gens/GS on another computer. In an RPG when you save your game at a save point and close/re-open Gens/GS, you find that the save is lost. Emulator configurations that you changed aren't saved. When you close/re-open Gens/GS, you have to make those configuration changes again. Then your problem is that you currently have Gens/GS in a read-only location on your computer. 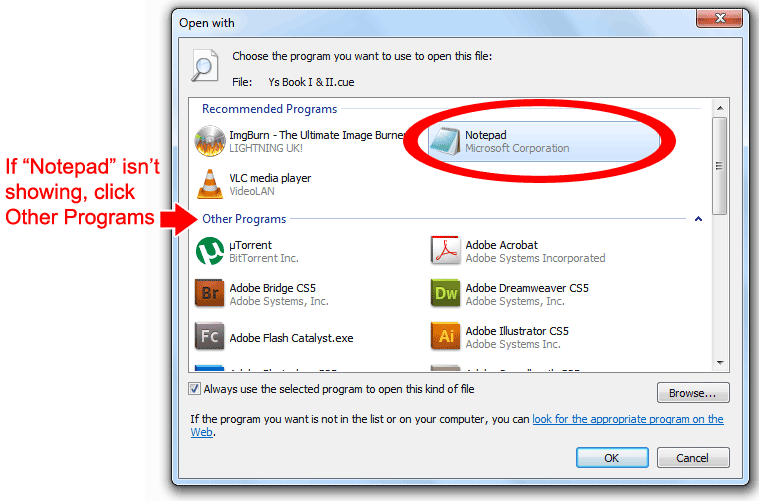 You must move Gens/GS to a more common location such as Documents, Downloads, or a folder on your desktop. There are some important details you should know about Sega CD emulation. Sega CD games existed on audio CDs. The first track is the data, and the rest of the tracks are the game's soundtrack. To dramatically reduce the size of Sega CD games for online distribution, ROM sites convert the soundtrack to MP3. Hence, you have a zip archive with a single ISO file and a bunch of MP3s. However, ROM sites don't always distribute Sega CD games as ISO/MP3. Other times they're just a single ISO or BIN/CUE. In this case, the audio tracks are packaged into the ISO or BIN file in their raw format. They're not compressed to MP3. Gens/GS treats Sega CD different than the way things work with the real Sega CD system. The real Sega CD system has internal memory (which doesn't hold much) and external RAM carts. However, Gens/GS gives each game its own internal memory and its own external RAM cart. Cool, huh? That allows for a lot more space than the real thing. There is one string attached, though. With the real Sega CD system, internal memory and each new RAM cart has to be formatted. And since Gens/GS gives each game its own internal memory and RAM cart, you need to be formatting it each time you play a new game. That is, games that require saving such as RPGs. Some games won't even allow you to play them until the memory is formatted. But don't worry! Formatting is quick and easy to do. I explain the formatting process here. Copies work on the real thing! Yes, any Sega CD game that you download can be burned to a CD-R and played on the real thing with no problem. The Sega CD system does not have any kind of copy protection. 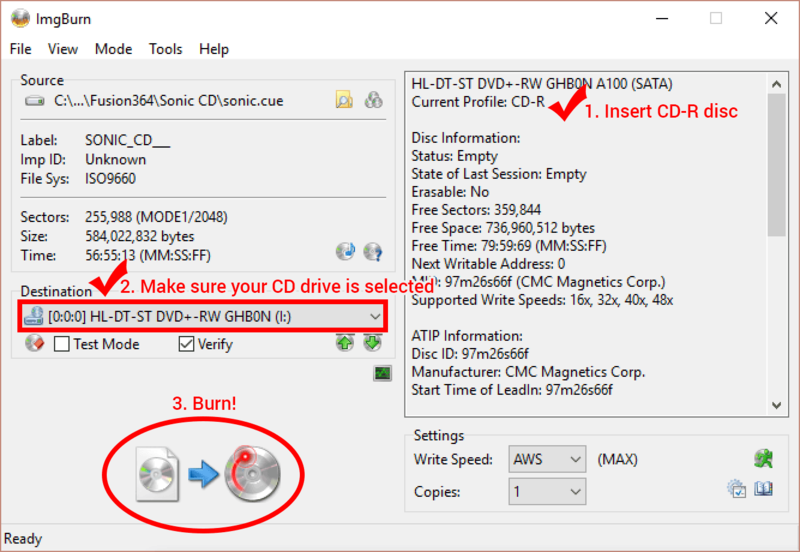 In this tutorial, I have a section about burning Sega CD ISOs to CD-R. US Sega CD BIOS (91.1 KB) - required for booting US games. Euro Sega CD BIOS (87.2 KB) - required for booting European games. Jap Sega CD BIOS (84.9 KB) - required for booting Japanese games. 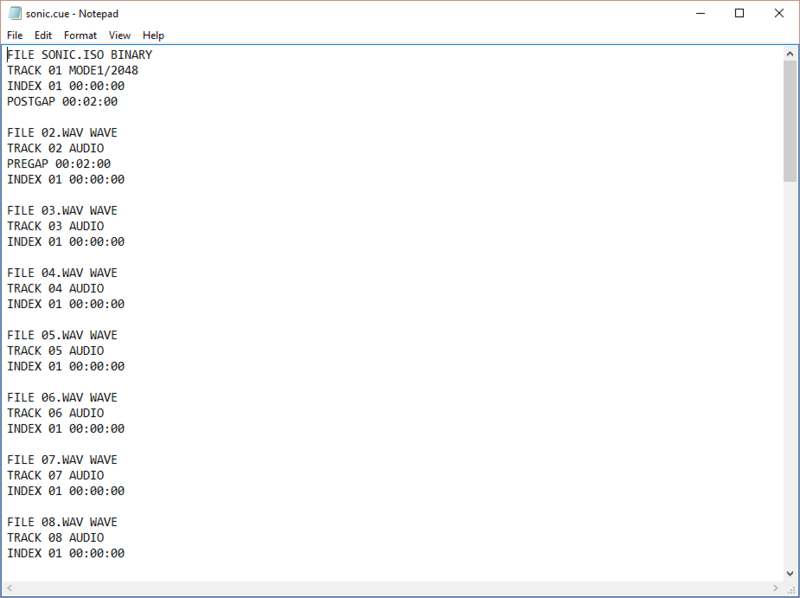 Once downloaded, extract the bios from its zip file and place it in the same folder that Gens/GS is in. Click on the Options > BIOS/Misc Files. 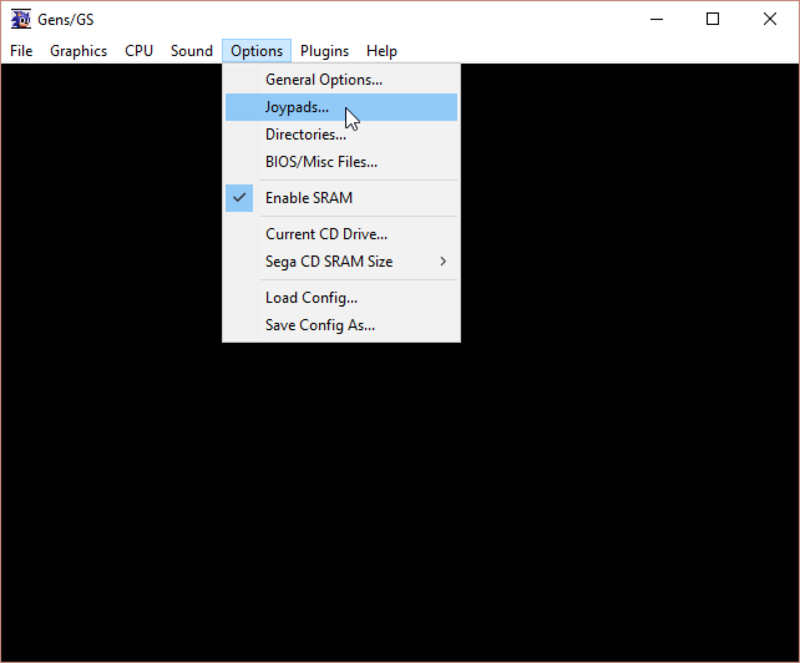 Look under “SegaCD BIOS Files“ for the BIOS fields. Click on the Change button (circled in the picture above) for the Sega CD BIOS that you want to set. Navigate to the BIOS file, select it and click on Save. Click OK when you're done. You have an understanding of Sega CD ISO formats. You understand how Sega CD handles saving differently than the real thing. You've downloaded & configured the Sega CD BIOS. Now you can begin to load Sega CD games. I'm assuming you downloaded a Sega CD game from a ROM site. Most emulation websites distribute their Sega CD downloads in a RAR or 7Z file. You would need to install 7-Zip (it's free) to extract the game from its RAR or 7Z file. Download & install 7-Zip. 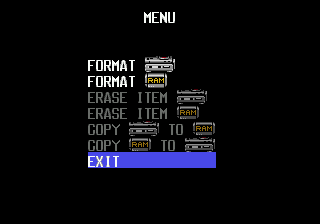 Once installed, you extract the game by right-clicking on it and going to 7-Zip > Extract Here, as shown here . If you downloaded an ISO/MP3 or BIN/CUE archive, it's important that it includes a CUE sheet. Sometimes they're not included. The game won't work without it. This is the CUE sheet . If it's missing, no worries. You can use this helpful utility, Sega CUE Maker (87 KB), to generate a CUE sheet. Make sure the name of the ISO matches the name of the actual ISO. It's okay if it's not case sensitive. Make sure all the audio tracks match the name of the actual audio tracks. Make sure all the audio tracks have the same audio format. 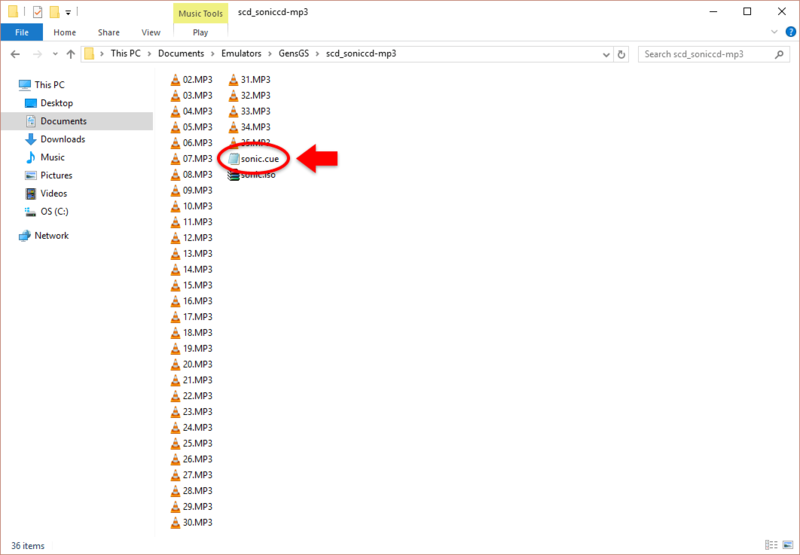 If you have MP3 audio files, then the CUE sheet must show MP3 file types. 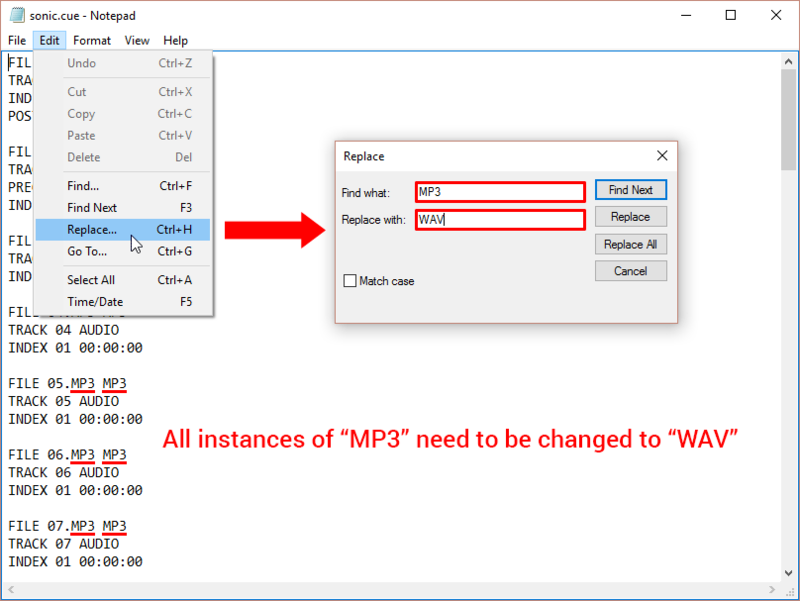 If you encounter a CUE sheet that has WAV file types when the actual files are MP3, then within Notepad do a Find/Replace action to change them all to MP3. Okay! Now you can load the Sega CD ISO. Go to the File > Open ROM, as shown here . If the game is an ISO/MP3 archive, then you click on the CUE sheet to load the game. If the game is a BIN/CUE file, then you click on the BIN file to load the game. If the game is just a single ISO file, then you click on the ISO file to load the game. The first screen you see is the Sega CD BIOS screen (shown to the right). Just press Start and the game will begin. *If upon pressing Start you see the CD player screen instead of the game, that's a problem. That means your Sega CD ISO is not valid. Review the steps above to ensure everything is correct. If all else fails try downloading that game from another ROM site. First, I want to try to discourage you from trying to play a Sega CD game via your CD-ROM drive. The process is prone to have problems and you will experience slow loading times. Rather, what I do recommend is ripping your Sega CD game to a BIN/CUE. There is plenty of space on your hard drive for it. Plus it's good to have a digital backup of your game, just in case your physical copy gets lost or broken. Insert the game into your CD-ROM. Wait a brief moment for Windows to load it. 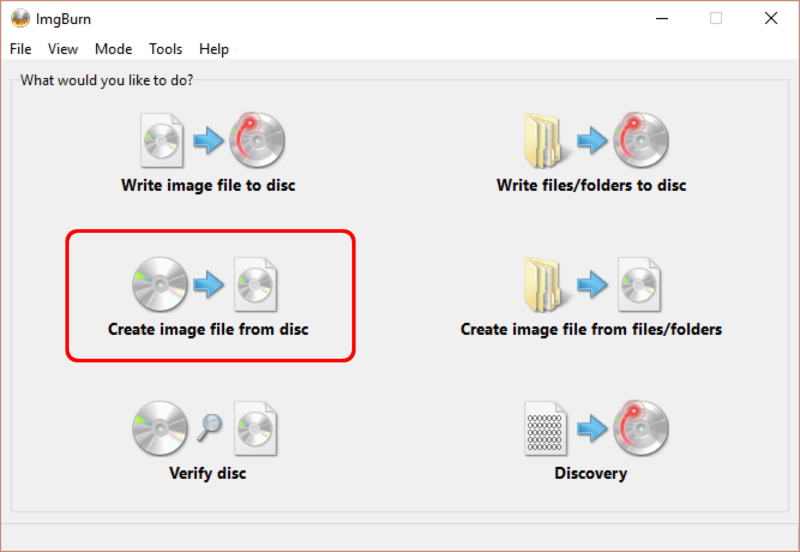 Close the “What do you want to do with this CD?” window if it pops up. Go to File > Boot CD. Wait a brief moment for the game to load. *If you are using an old version of Windows (Windows XP, Windows 98, Windows ME) and Gens/GS does nothing when you try to boot your Sega CD game, try installing ForceASPI. *If upon pressing Start you see the CD player screen instead of the game, that's a problem. That means your Sega CD game is not valid. If it's a CD-R copy, then it is bad burn. If all else fails try downloading the game. Now that you have your Sega CD game running, it's very important that you read the next two sections about Perfect Sync and formatting the memory. You must know about Perfect Sync!! 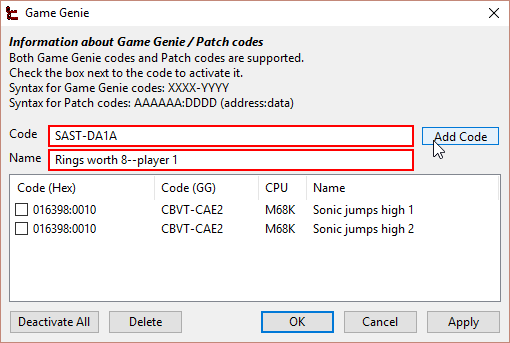 It's a feature that tells Gens/GS to give fewer commands with the emulation of a Sega CD game. Some Sega CD games require this feature to be enabled or else they will lock up at certain points in the beginning. For example, “Popful Mail” won't boot past the Sega logo unless Perfect Sync is enabled. There are more games like that. You might be asking “Well, how come Gens/GS doesn't automatically enable Perfect Sync for the games that need it?“ I do not know. This is something we all have to live with. Click on CPU > SegaCD Perfect Sync (SLOW). Now load your Sega CD game. 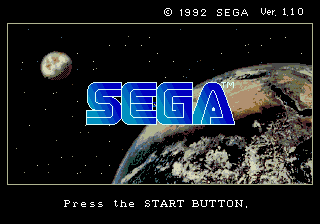 If you currently have a Sega CD game running, you need to restart it. *Don't forget to remove the check from Perfect Sync when you're done playing that game. Having it enabled with games that don't need it may cause problems. This process is necessary for RPGs, and maybe some non-RPGs. It's essential to do this if the game gives you a “Backup RAM not initialized” error. At the Sega CD BIOS screen , press the button you set for B. 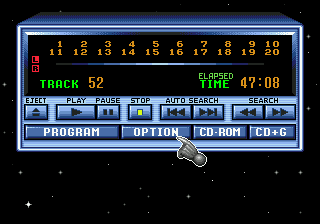 You will arrive at the CD Player screen (shown to the right). Move the hand to OPTION and access it. You will arrive at a screen with some memory info, just continue. You will arrive at the screen where you can manage your memory (shown to the right). First format internal memory by going to . 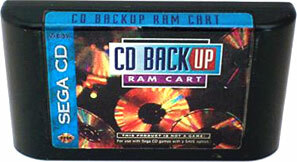 Next, format the RAM cart by going to . At the CD Player screen, choose CD-ROM to boot the CD. Some Sega CD games are two CDs such as Ground Zero Texas & Night Trap. 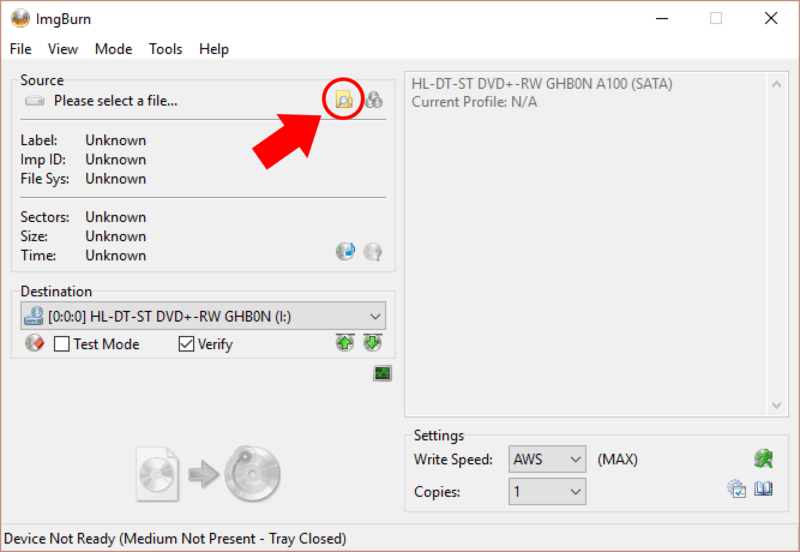 When it comes time to change discs, you should see a flashing CD tray icon in the bottom left of the display. This means the emulated CD tray is OPEN. You can safely load a second Sega CD ISO (or swap a CD) at this point. That's it! It's very easy. Go to Options > General Options. Remove the check from Show SegaCD LEDs. You need to format the memory. You need to enable Perfect Sync. Read through the section about loading Sega CD games. Pay attention to the parts about verifying the CUE sheet. I'm not sure what causes this issue. This happens sometimes when you load a CUE sheet. The fix is to load the BIN or ISO instead. These directions are for burning either a BIN/CUE archive or ISO/MP3 archive to a CD-R. As mentioned previously, the real Sega CD system does not have copy protection. You can play CD-R copies on it with no problem. It is essential for the Sega CD game you are going to burn to have a CUE sheet . You cannot proceed without it. If it's missing, no worries. You can use this helpful utility, Sega CUE Maker (87 KB), to generate a CUE sheet. Click the icon to burn. Depending on the speed of your CD drive, your game could take maybe 2-10 minutes to finish burning. That's it! Enjoy your fresh copy of a Sega CD game. *If your burned Sega CD game is not playing music, then you messed up. Go through my directions again and pay attention to every detail. These directions are for duplicating a real Sega CD game or a CD-R copy. First, you need to rip your Sega CD game to an ISO. Open ImgBurn. 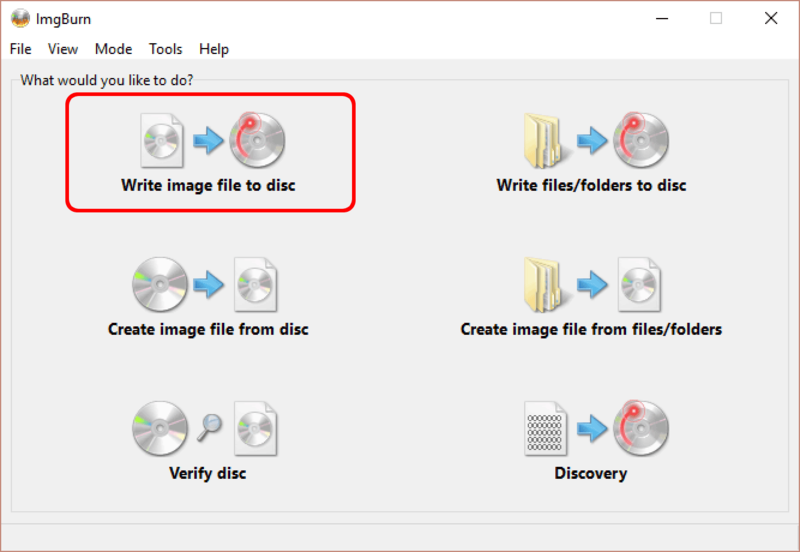 Click Create image file from disc, as shown here . Ripping your Sega CD game will take maybe 20-30 minutes. 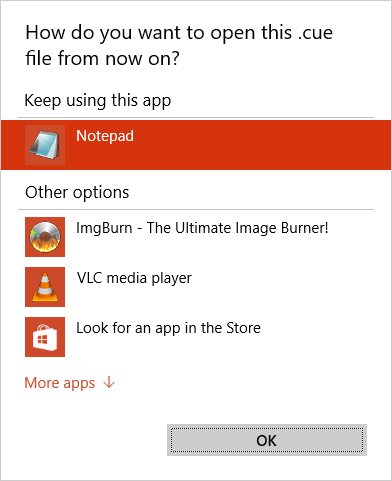 By default, ImgBurn will toss the BIN file (the ISO) into Documents. Now that you have a BIN/CUE of your game you can follow the burning directions right above. Scroll up to “3. Burning to CD-R”.